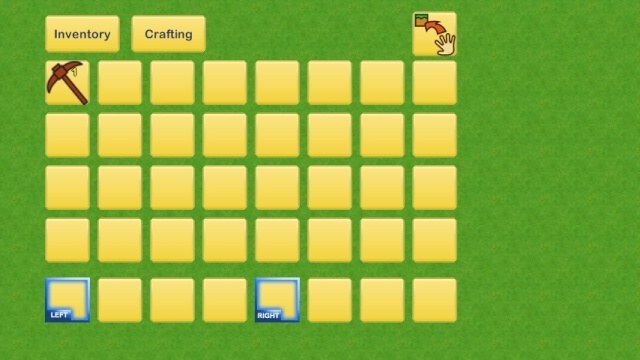 Developed by Finger Gun Games, Stone Shire is a Minecraft-style sandbox game that has potential, with promised updates and eventual RPG elements this game is like a blank canvas with loads of potential, but at present the game is extremely lacking in core content. It is okay in its present state, but the replay value and non-artistic aspects of the game will leave you expecting much of the upcoming content updates. 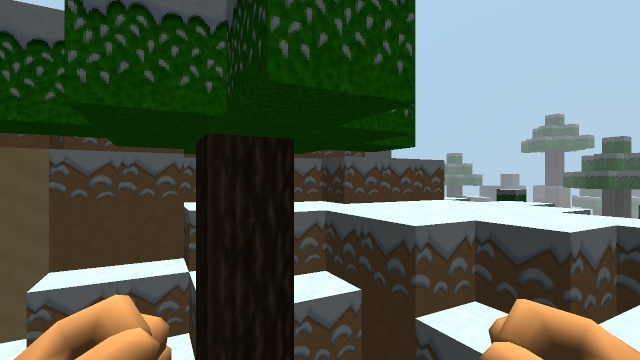 The game only has three randomly generated maps at present, but will be adding more in the future. The battle system and wildlife haven't been implemented yet either so we can't review that aspect of the game. As for the mining aspect, it is pretty decent, albeit a bit lacking in content, however the Gamepad use in this game is brilliant and works well as an inventory/item creation screen! The controls are a bit clunky, but otherwise they work well with the game. It might take a little getting used to, but it's not that big of a deal. The real gamebreaker in this game is a bug that causes the game to freeze and save data to be lost if you dig all of the way to the bottom of a map and fall into oblivion. Whatever you do avoid digging too far down. 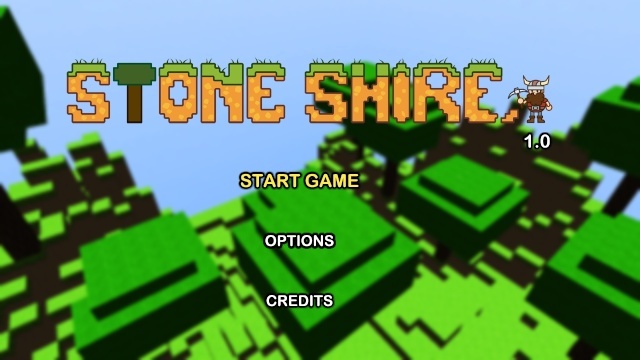 Stone Shire is a game that has loads of unrealized potential, but in its current is sorely lacking many necessary features and its audio-visual presentation is not that good at present. The Gamepad functions are this game's only redeeming quality at present, but the controls are somewhat clunky and unresponsive. Overall we give Stone Shire a below average level of recommendation, but that will likely change once the game receives more features and polish via. content updates. This game is so bad, but you're right that it has/had potential it's just super bad as it is right now.